Your success in every phase of the application process, from interview to salary negotiation, depends on your ability communicate the value you bring to the table clearly and effectively. What better way to do this than by showing examples of your work? Career portfolios are excellent tools to prove your talents to potential employers, especially for careers that produce regular work samples, involve frequent performance reviews, or depend on a specific skillset. Plus, they offer a lot more flexibility than the traditional resume and cover letter. The keys to creating a professional portfolio are material choice and formatting. The items you include and how you arrange them can influence how likely hiring managers are to read and appreciate the document. Follow these guidelines to ensure that your portfolio makes the right impression. A professional online portfolio is powerful and versatile. You can add the link to your resume and social media profiles so that hiring managers can easily browse your information at their leisure without needing to drag around a 3-ring binder full of work samples and reviews. Plus—with some basic keyword optimization—an online compilation of your skills and work experience can increase your chances of getting noticed by recruiters actively seeking job candidates. 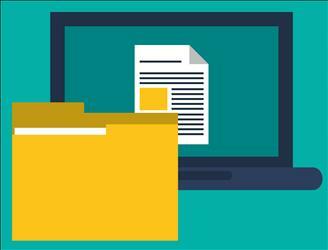 Because e-portfolios are searchable and easily navigable via hyperlinks, they can be much longer than paper portfolios without overwhelming the reader. As long as it maintains an intuitive, effective organizational structure, a professional online portfolio can expand its focus beyond the most critical subjects and become a comprehensive overview of your qualifications. There are a number of tools available for creating your e-portfolio. Some common website creation platforms you might use include Google Sites, Weebly, Wix, and WordPress. Alternatively, you can try a website designed specifically for professional portfolio creation like PortfolioGen, About.me, or Portfoliobox. 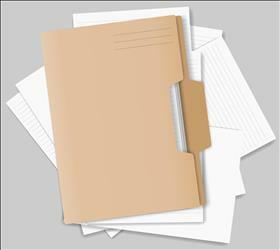 Unlike online portfolios, you can carry a paper portfolio with you to an interview or negotiation. Work samples that back up your core competencies— especially technical proficiencies or soft skills—can greatly improve the impression you make on hiring managers. It can also spark conversation if you’re having difficulty explaining a topic or project to the interviewer. Because you want everything to be easy to find, creating a printed portfolio for interviews requires a high level of selectivity. It’s important to only include the most powerful documents. Focus primarily on materials that demonstrate your most unique value props and the specific qualifications listed in the job posting. If you need help formatting and producing a paper portfolio, print shops like Staples, FedEx, or UPS should be able to help most job seekers. However, those in creative industries—graphic designers and architects, for example—will likely require a more specialized service, and should consider sites such as Blurb or MagCloud. 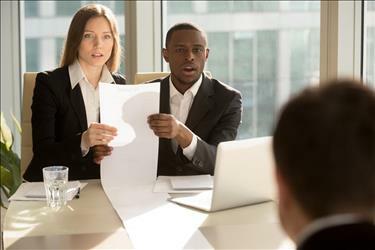 If an employer requests a portfolio along with your application, the company likely has its own set of rules for what it should look like. However, if you’re preparing an interview or online portfolio without guidance, here is a basic outline you can follow. Your career portfolio title page should contain your name, job title, email address, and phone number. If submitting a paper portfolio, also include your address, the company you’re applying to, and the date of submission. The table of contents should be a list of all major sections and subsections, not an index of each individual item. Reference page numbers when creating a professional portfolio for printing. For e-portfolios, hyperlink each entry to take your audience to the appropriate page. This can be your elevator speech, a personal branding statement, or a description of your strengths and goals. Just make sure to keep it professional and concise. Demonstrate your education and job preparedness in this section. Start with your resume, then continue with especially strong performance evaluations, references, and an annotated list of professional development you participated in (such as seminars and workshops). For students and recent graduates, this section might include a transcript. Especially when creating a professional portfolio for an interview, evidence of skills is the most essential segment. While your resume may state that you are proficient with particular software, for example, your portfolio will include samples of how you apply that expertise to achieve top-notch results. If organization or project management is important to your job, include outlines of events you have coordinated with bullet points describing how you organized attendees, disseminated information, and managed operations/activities. Think of your career portfolio as an extension of your resume. Whether you choose to create a lengthy digital display or a shorter, interview-ready printed document, the goal is to prove to employers the great value you can bring their company.